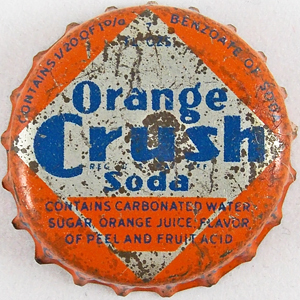 On January 3, 1929 the Smyth County News reported that the Marion Orange Crush Bottling, which had been owned by the partnership of Robinson and Sprinkle, had recently been sold. (3) The new corporation which maintains the Marion Orange Crush Bottling Company name is operated by Jason R. Shanklin as President, N. Ernest Robinson as Vice President, and Wythe M. Hull, Jr. as Secretary, Treasurer, and General Manager. (3) The new corporation would also retain the sister plant established by Robinson and Sprinkle in Pulaski, VA with Sprinkle being set up as manager of that plant. 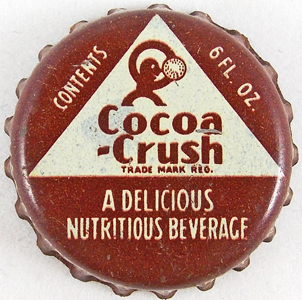 (3) The new company was quick to acquire a new Pepsi-Cola franchise on February 14th, 1929, and was already bottling Orange Crush, Lemon Crush, Grape Crush, and Coca-Crush. (1) They were also bottling an "unknown" Strawberry and Cherry soda; however, I suspect that these were Bob-O-Link flavors which was a flavor line produced by Orange Crush and was known to be bottled by the previous company. Unfortunately the newly organized company would find itself fighting against disaster when the stock market crashed in October 1929. By 1936 things were going well enough by this point that the company had to build a new addition onto their building, and they expand yet again in 1938 when they replaced their older equipment with new machines. 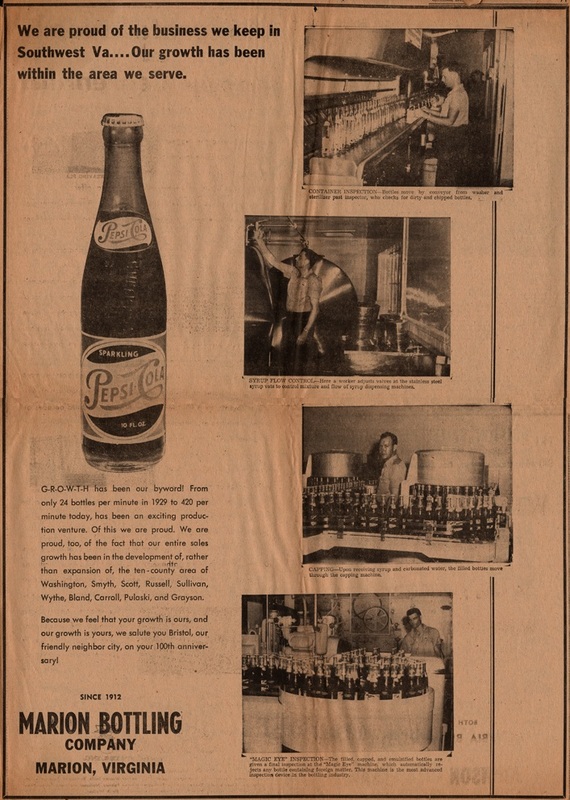 (2) March 1939 the Pulaski Southwest Times published an article announcing the arrival of the Old Colony brand at Marion Bottling Company. 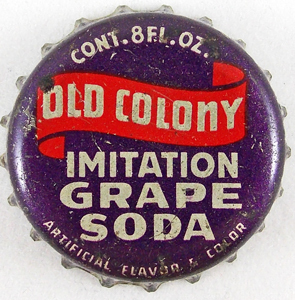 (2) Old Colony was the latest incarnation of Orange Crush's flavor line brands, and had been preceded by the introduction of Orange Crush’s first ACL (applied color label) bottle which was now produced in amber glass to help protect the contents from sunlight. 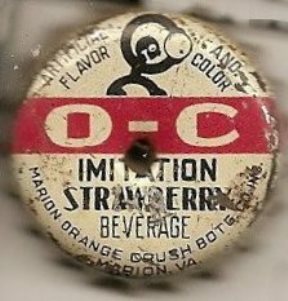 The company had also picked up two other new brands by 1939 which included Cherry Blossoms and Mandalay Punch, a grape flavor produced by Orange Crush since the 1920's. (2) They would pick up the franchise for a pineapple soda named Sunny Isles in 1940. 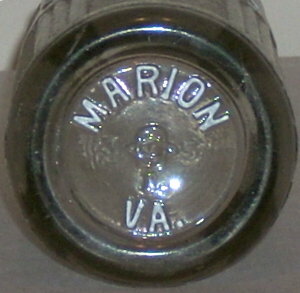 The company purchased a Dodge VGA tractor, and a custom trailer built by the Black Diamond Trailer Company of Bristol, VA, in 1940 to distribute their products to three warehouses in Pulaski, as it appears they have stopped bottling there, Galax, and Bristol, VA.(3) With the start of the war the company found itself dealing with problems acquiring basic supplies to bottle their products. They faced sugar shortages, having to recycle used steel bottle caps, cutting up old cans to send in to make bottle caps, bottle shortages, and of course I'm sure some of their employees were drafted into the service. The company also helped with collecting war salvage on their returning beverage trucks. After the war ended they were still dealing with some of these shortages, but things eventually did get better. By the late 1960's the company had grown to the point that it needed a completely new building. They built the new building on Washington Avenue just off of West Main Street and it officially opened on September 27, 1968 with Joan Crawford, a member of the Pepsi-Cola Company board of directors at the time, in attendance. (2) This new building would come in handy when an opportunity arose in early 1971 when the company's main local competitor decided it was time to sell their operation. February 24, 1971 the Pulaski Southwest Times announces the purchase of the Dr. Pepper Bottling Company of Marion by the Marion Bottling Company. (2) The purchase was made from the trustees of the N. S. Forester Jr. estate. (2) All the operations were moved to the Marion Bottling Company plant, along with its employees at least on a temporary basis. 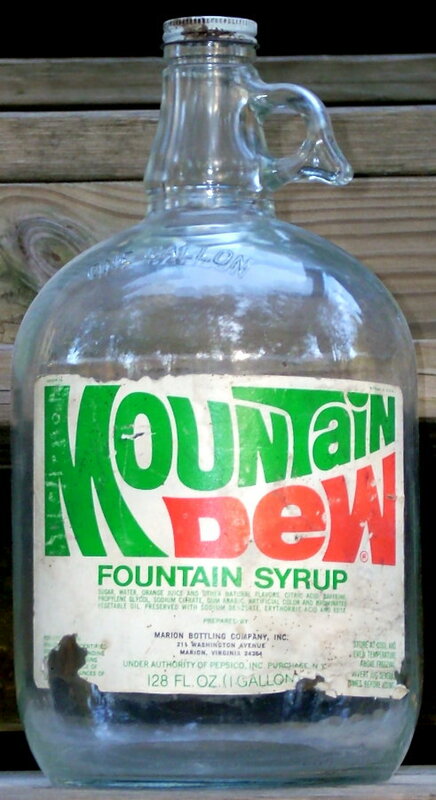 (3) This purchase not only gained Marion Bottling Company the Dr. Pepper franchise, but the Seven-Up franchise as well. 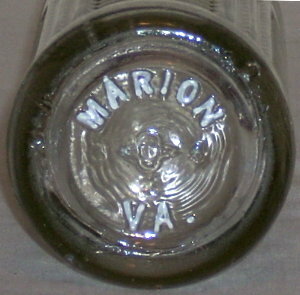 During the 1970's there were a lot of independent bottlers who were bought up by large bottling groups and Marion Bottling Company was no exception. A group called R. K. O. Bottlers bought out the company in 1983, and Wythe Hull wrote his book "The History of the Marion Bottling Company, Inc.". (1) I know that the Pepsi bottling plant continued to operate until around 2004, when Pepsi opened their new modern bottling plant in Wytheville, VA, and decided to shut down their plants at Marion and Princeton WV. Thus ended the ninety-nine year history of Marion's oldest bottling company, or so I thought. The former bottling plant sat empty for several years until being purchased by a local merchant who originally planned to use it for a blue jeans store; however, decided to start his own bottling company instead, and thus Fresh Fruit Beverage was born, and Marion's beverage producing history lives on. 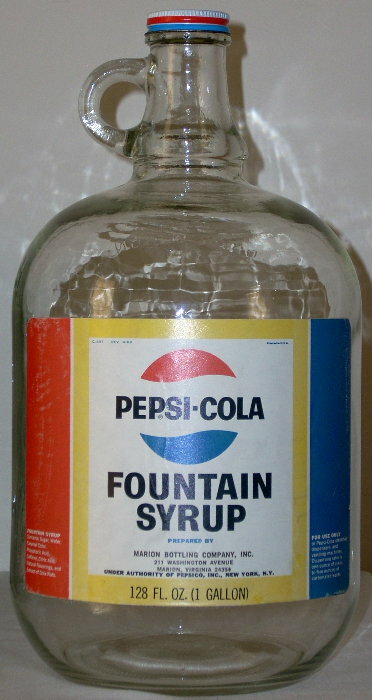 This is a 6oz “peanut” Pepsi-Cola bottle dated 1929. 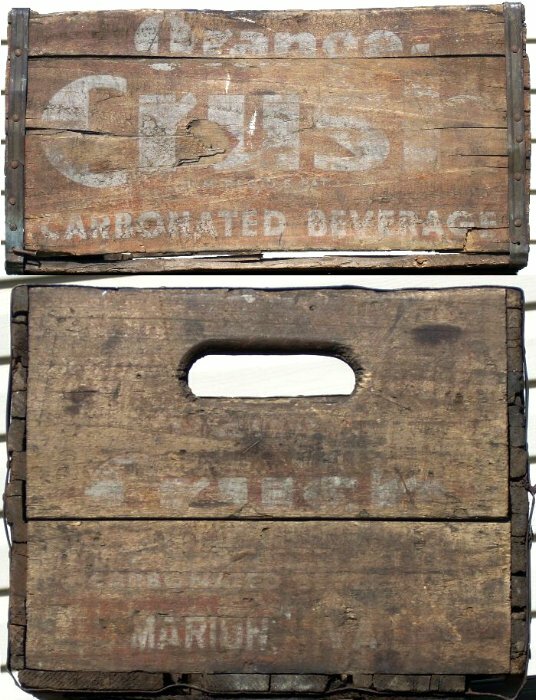 We have seen several of these broken in a local dump; however, this is the first complete one I have found that I feel was actually used by the Marion Orange Crush Bottling Company when they held the Pepsi-Cola franchise in 1929, the date is right, but there is no town name. 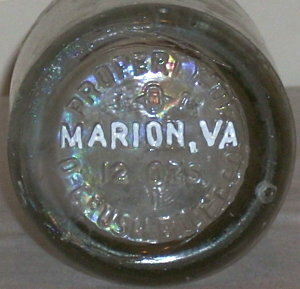 This is a 8oz Braser bottle from the time period that Marion bottled the brand, but isn’t marked with a town name. 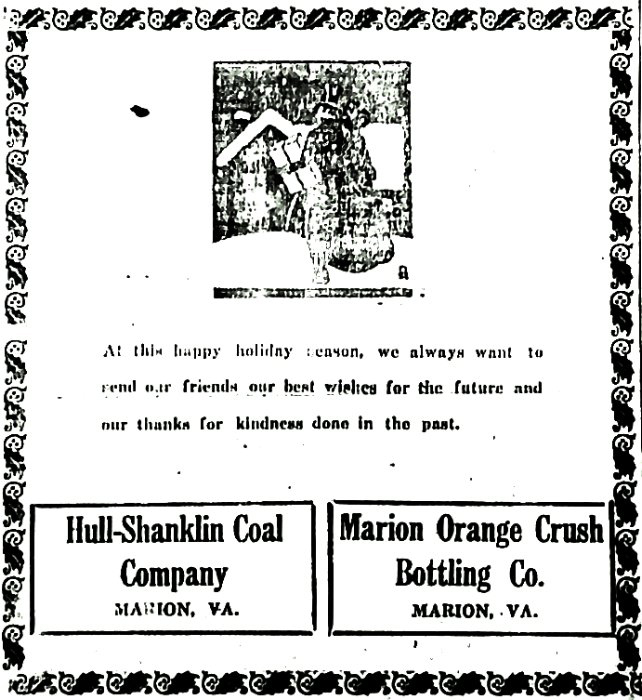 This Christmas 1935 ad is from both the Marion Orange Crush Bottling Company and the Hull-Shanklin Coal Company. 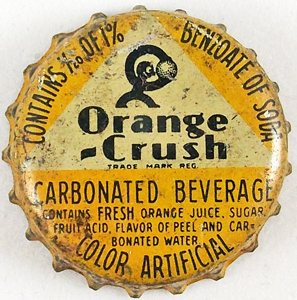 7oz Clear Orange Crush "O-C Beverages" bottle dated 1934, the back has the same embossing as most Orance Crush bottles from the period. 12oz OCBCo Pepsi-Cola bottle these were used in the late 1930's and early 1940's and would have had a paper label. 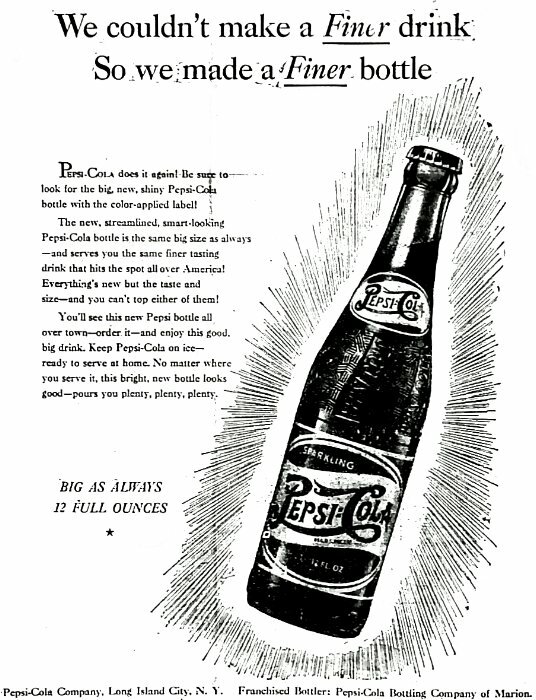 An ad from June 23, 1936 which shows the earlier paper labels which would have been used on the bottles pictured below. 12oz OCBCo bottle in a wide band around the neck. These were used in the late 1930's and early 1940's and would have had a paper label. 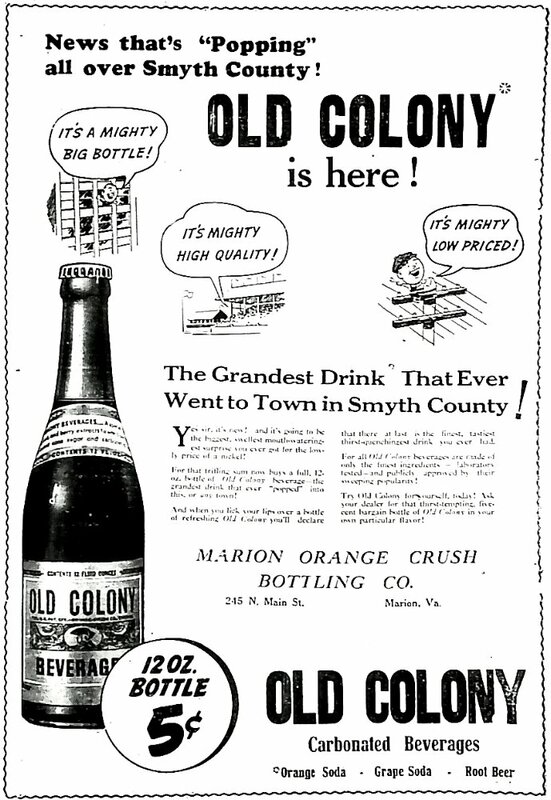 The ad introducing Old Colony Beverages to the Smyth County area March 16, 1939. 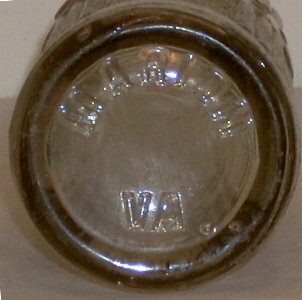 12oz OCBCo bottle in a narrow band around the neck dated 1942. 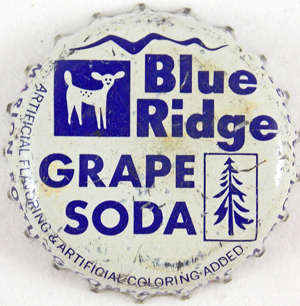 7oz green OCBCo bottle with a Blue Ridge Ginger Ale paper label dated 1942, you can barely see the embossing on the left side. 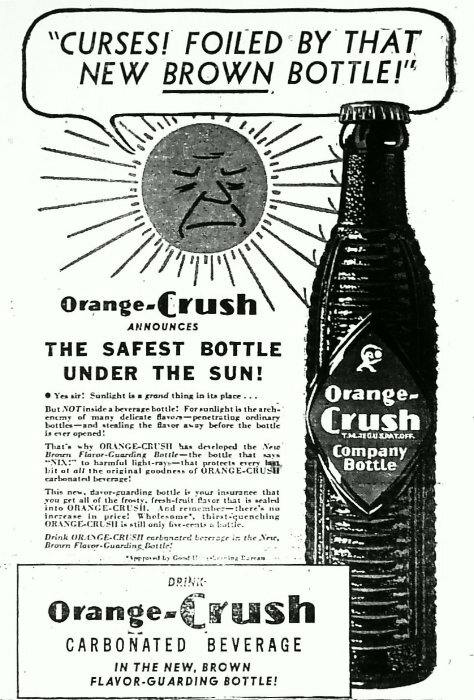 The ad introducing the amber Orange Crush bottles from March 21, 1939. 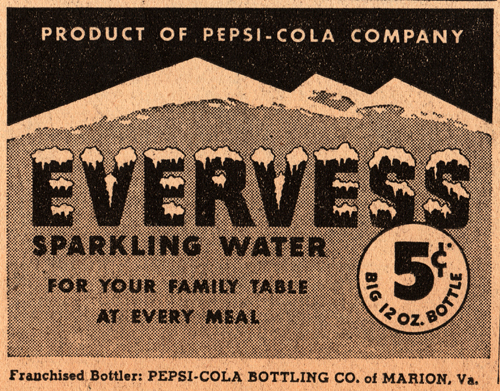 A rare find was this Evervess ad from the Pepsi-Cola Bottling Company of Marion, VA dated 1945. I always suspected that they like many Pepsi bottlers produced this brand, but had no proof till now. Most likely it was a paper label placed on their regular Pepsi-Cola paper label bottles which might explain why we have yet to see one. 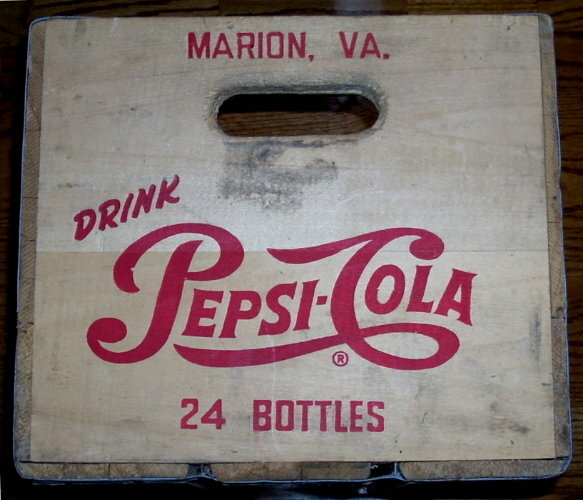 12oz paper label Pepsi=Cola bottle from Marion, VA dated 1945. Just click on the picture to enlarge. 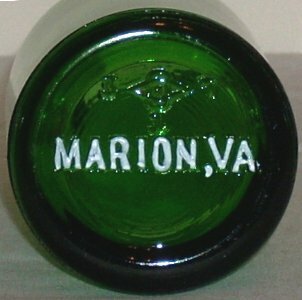 7oz green bottle from the Orange Crush Bottling Company (OCBCo) of Marion dated 1947. 7oz Amber Orange Crush bottle dated 1947. This must have been the transition year for the bottle design as the acl changes on the bottle below also dated 1947. 7oz Amber Orange Crush bottle dated 1947. See above. 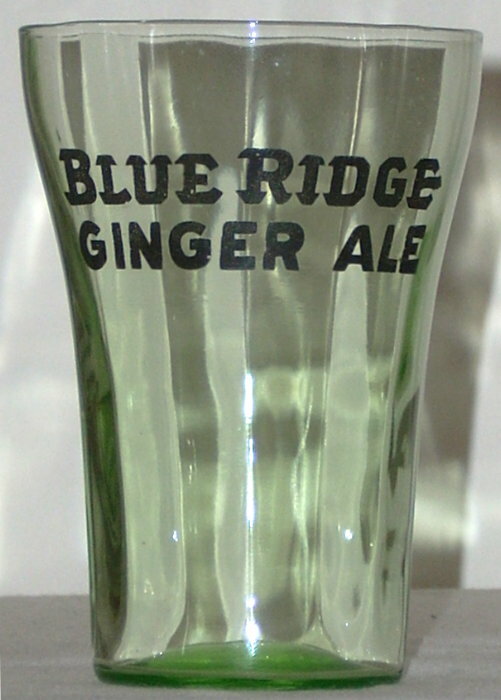 10oz Clear Blue Ridge Beverages bottle dated 1957, note the sholder is higher up on the neck and the acl is quite a bit larger than the later versions. 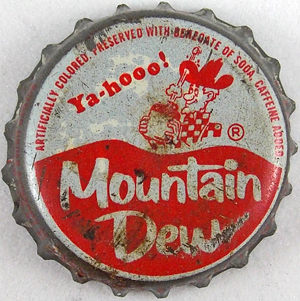 7 3/4oz Pal Ade bottle dated 1958. 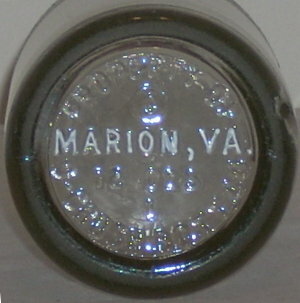 You will notice that this one doesn’t have Marion, Va on the back like the above bottle. 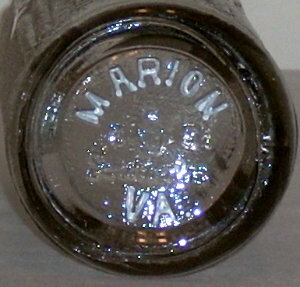 That is because this is one of those bottles that we can’t prove conclusively was bottled by the company; however, the sheer amount of them in the area, my finding this one in the bottles of a dealer who has consistently brought in Marion bottles, and the date itself makes me think that there is a possibility that Marion Bottling Company bottled these as well as the 10oz green bottle above. Still looking for that proof that they bottled these. 10oz Green Blue Ridge Beverages bottle dated 1959, of course this is the year they changed the 1957 design so that the shoulder deco is lower on the bottle, and made the acl smaller. 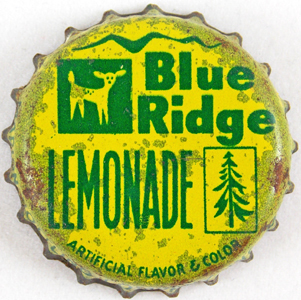 10oz Green Blue Ridge Beverages bottle dated 1971, note that the ounces are on the front acl now and the Marion, VA zip code has been added to the back.